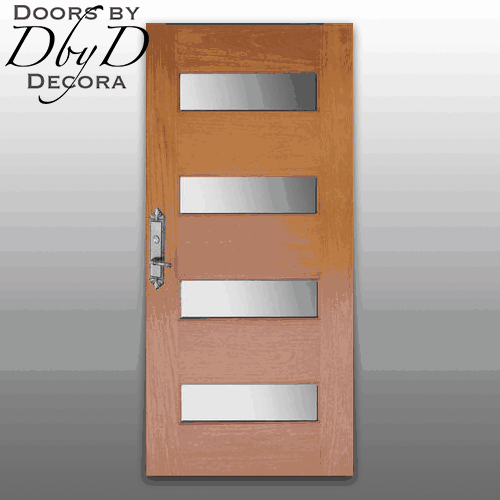 This Contemporary Exterior Mahogany 4 lite Door is 36″ X 80″. It was Pre-finished and has Insulated Frosted Tempered Glass. The hardware is Baldwin 6962-151.